Ladies and gentleman, Melissa McCarthy has brought us her version of Austin Powers and while it more or less diverts the James Bond tropes through a slew of supporting characters this is very much a breaking the mold kind of movie that not only puts a woman in the lead where a man typically reigns supreme, but a woman that looks like McCarthy who, per usual, recognizes where she fits into the Holywood lexicon and more or less takes a big ole dump on those expectations. Being unwilling to yield to anyone's pre-determined set of guidelines for what it takes to be an actress, a comedian or now, an action star, has made McCarthy one of the hottest properties around and with Spy she delivers a kind of definitive comedy that will seemingly launch her into the stratosphere of commanding her own franchise. Much like Mike Myers in 1997 McCarthy has used the same popular and well-known template of the spy thriller to lampoon any and all of the typical beats that Ian Fleming's most famous spy and his many imitators have acted out over the years. Opening with the more dashing version of Bond in Jude Law's Bradley Fine as he infiltrates a high class party to commandeer a nuclear bomb that has somehow managed to end up in the wrong persons hands we are taken through the scenario as expected until Fine comes face to face with Tihomir Boyanov (Raad Rawi) and the first of those many expectations are turned on its head and given a certain freshness that not only makes an audience member excited to see what the film will do with each scenario to come, but keeps us consistently laughing as both the sight gags and the one-liners the film delivers are expertly set-up and executed so as to get the biggest pay off. Needless to say, both McCarthy and frequent collaborator Paul Feig (Bridesmaids, The Heat) know what they're doing at this point and they use their assumed short-hand to create not only a solid, credible comedy in a world of sub-par and sloppily put-together comedies, but they so clearly know how to draw on the strengths of each cast members talent as well as the archetypes of the genre so that it all seems to effortlessly pull together to create a hugely funny and entertaining time. CIA Analyst Susan Cooper (Melissa McCarthy) finally gets a field assignment in Spy. After Fine completes, or rather fudges, his mission around Boyanov he comes back to CIA headquarters to treat the trusty voice in his ear, Susan Cooper (McCarthy), to a nice dinner as a thank you for once again keeping him safe while in the field. As most films involving McCarthy do, they take advantage of her unconventional Hollywood looks and set Cooper up as an unassuming, deskbound analyst with a house full of cats, but who's essentially the unsung hero behind some of the Agency's most dangerous missions. She is in love with Fine, but he is of course blind to her affection and with only her fellow analyst, Nancy (Call the Midwife's Miranda Hart), to confide in it seems her true potential will never be given the chance to shine. It is when Fine goes back into the field to locate Boyanov's despicable daughter, Rayna (Rose Byrne), and find out the location of the aforementioned nuclear bomb that Cooper gets the opportunity she's been waiting for when Fine falls off the grid. Given all of the other top agents are compromised, including Jason Statham's Rick Ford, CIA director Elaine Crocker (Allison Janney) is forced to put Cooper into the field and have her go deep undercover so as to infiltrate the world of Rayna and her deadly arms dealer, Sergio De Luca (Bobby Cannavale), as the last hope of preventing a global crisis. What Feig's script handles well are not simply the string of jokes, but a solid spoof of a rather standard story that highlights the more obvious aspects of spy thrillers and plays with them in interesting ways before fully embracing them. More or less he highlights the glaring opportunity for comedy in typically serious situations by having his lead character discover herself and her own potential throughout the course of her mission. And that's what comedies are really all about, right? The characters. This is key as we expect Susan Cooper to be a certain kind of person upon first impression, but McCarthy and Feig give this woman a real arc in coming to terms with the confidence she has in her own abilities. We see Cooper realize that what others have determined her as being incapable of is untrue and that as she puts forth what she always knew she had the skill to become forward it becomes more of a reality. McCarthy gives this set of ideas a personification we not only find somewhat inspiring, but one that pushes the film forward as well as setting it apart. All comedies are character-driven in essence. Sure, the broad comedies have a hook in whatever their plot might be, but it is the personality and comedic timing of the characters and the actors playing those characters that have to make both the story and the jokes work. 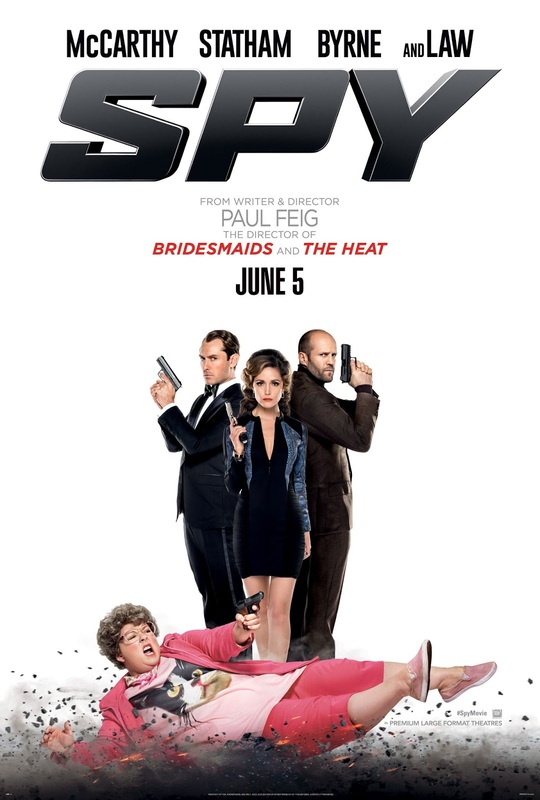 Spy understands that its premise isn't as appealing as its characters and so it never intends or even tries to do anything out of the ordinary story-wise, but rather enjoys playing with the stereotypes by continually having people switch allegiances or never leaving anyone, not even a single henchman, alive. In this vein the film is solid fun for the first hour or so, but it is when this critical switch is made in Cooper's mentality halfway through the film that things really begin to take off and Spy sets itself up to in fact set itself apart. Rayna Boyanov (Rose Byrne) lets Susan know she means business. Having already touched briefly on what makes McCarthy's performance so interesting and different from the types of characters that have made McCarthy a big screen presence she is in no shortage of solid supporting players either. As Rayna, Byrne is basically a godsend. Infusing anything she is a part of with energy and appeal she makes the dry and extremely critical Rayna one of the biggest riots in the whole feature. There were a limited number of people in my screening and yet my wife and I laughed out loud no less than six times, half of those in instances where Byrne was present and actively contributing. I also feel like not enough people will talk about Peter Serafinowicz as Aldo who, without saying too much, steals every scene he's in and is the character I can't wait to see again the most in the inevitable sequel. Statham is a real stand-out here as well. While Law takes on the dashing, debonair Bond persona as portrayed by Connery, Brosnan or even Dalton Statham is given the more outlandish and ludicrous tone that is in the same key of Roger Moore's outings. In his profanity-laced explosions of dialogue Statham is made as endearing as ever as he brings the ridiculousness of typical spy movie plotlines to real-world levels. 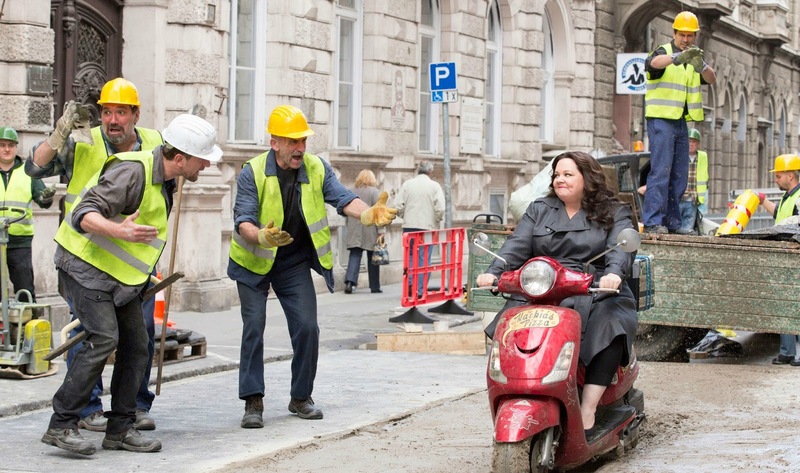 Beyond the consistency of the humor and the all-around solid performances from a great cast Spy is simply a satisfying comedy. We are naturally drawn to McCarthy's character and the challenges she faces and to see her overcome these odds, break these pre-existing labels she's been shackled with is nothing short of gratifying. It also doesn't hurt that Feig is becoming a better filmmaker with each of these major studio comedies either. Typically resigned to the small screen it wasn't until Bridesmaids that Feig was granted the opportunity to work on a much larger scale and with both The Heat and now Spy the guy has been finding more and more solid ground as to how to visually tell a funny story that begins, continues and wraps up all within the span of two hours. As much as Feig's script begins as something of a parody of this specific spy/thriller genre by the climax of the film we feel as if we are witnessing a solid example of the genre itself. It not only mocks the beats of a fight scene as one might see in the current crop of films operating in this genre, but it embraces those elements to the point that when McCarthy is given her moments to shine she is involved in action scenes that exercise a real tension despite the characters often exchanging comedic lines in the middle of them. Kudos to Feig for also seeming to capture many of the stunts here in wider, long takes and not cutting as often as we have become accustomed to. This technique at least implies that much of what we see here was accomplished from a more practical standpoint. All in all, Spy is a complete package that only falters every now and then in its pacing, but more than thrives on its sharp wit and plethora of diverse and interesting characters.